In this study, the sugar content, total phenolic content, flavonoid types and levels of Hydroxymethylfurfural (HMF), proline of honey samples collected from Bitlis-Mutki were analyzed. According to the sugar analysis of samples of honey, it was found that arabinose, fructose, glucose, sucrose and maltose. In the honey examples, the level of glucose and fructose maximum, sucrose minimum level were determined. In addition, two comparative antioxidant assays, namely DPPH and ABTS radicals scavenging assay, were applied to detect the antioxidant power of honeys. The antioxidant and chemical properties in Bitlis-Mutki's honeys the make them products of high added value and excellent quality. In conclusion, it was observed that the results were in accordance with the EU standards as well as the Turkish Food Codex Honey Notification. Bu çalışmada, Bitlis-Mutki’den toplanan bal örneklerinin şeker içeriği, total fenolik içeriği, flavonoid türleri ve hidrokdimetilfurufural (HMF) düzeyleri ölçüldü. Bal örneklerinin şeker analizi sonuçlarında arabinoz, früktoz, glukoz, sukroz ve maltoz bulundu. Bal örneklerinde glukoz ve früktozun maksimum düzeyde, sukrozun ise minimum seviyede bulunduğu belirlendi Buna ek olara, bal örneklerinin methanolik ektsraklarının DPPH ve ABTS radikallerini temizleme aktiviteleride incelenmiştir. Bitlis-Mutki'nin ballarındaki antioksidan ve kimyasal özellikler, onları yüksek katma değerli ve mükemmel kalitede ürünler haline getirmektedir. Sonuç olarak, sonuçların AB standartlarına ve Türk Gıda Kodeksi Bal Tebliğine uygun olduğu görülmüştür. Blasa M, Candiracci M, Accorsi A, Piacentini MP 2006. Raw millefiori honey is packed full of antioxidants. Food Chemistry, 97: 217-222. https://doi.org/10.1016/j.foodchem.2005.03.039. Brand-Williams W, Cuvelier ME, Berset C 1995. Use of free radical method to evaluation of antioxidant activity. LWT – Food Science and Technology, 28(1): 25–30. Can Z, Yildiz O, Sahin H, Akyuz Turumtay E. Silici S, Kolayli S 2015. An investigation of Turkish honeys: their physico-chemical properties, antioxidant capacities and phenolic profiles. Food Chemistry, 180: 133-141. https://doi.org/10.1016/j.foodchem.2015.02.024. Capuano E, Fogliano V 2011. Acrylamide and 5-Hydroxymethylfurfural (HMF): a review on metabolism, toxicity, occurrence in food and mitigation strategies. LWT – Food Science and Technology, 44: 793–810. https://doi.org/10.1016/j.lwt.2010.11.002. Cavrar S, Yildiz O, Sahin H, Karahalil F, Kolayli S 2013. Comparison of physical and biochemical characteristics of different quality of Turkish honey. Uludag Bee Journal, 13: 55-62. Codex Alimentarius Commission. 2001. Revised standards for honey. Codex Standard 12-1981. Rev 1 (1987), Rev 2 (2001), Rome, FAO. Dobre I, Georgescu LA, Alexe P, Escuredo O, Seijo MC 2012. Rheological behavior of different honey types from Romania. Food Research International, 49: 126-132. https://doi.org/10.1016/j.foodres.2012.08.009. Fernandez-Torres R, Perez-Bernal JL, Bello-Lopez MA, Gallejon-Mochon M, Jimenez-Sanchez JG, Guiraum-Perez A 2005. Mineral content and botanical origin of Spanish honeys. Talanta, 65: 686-691. doi: 10.1016/j.talanta.2004.07.030. Gheldof N, Wang XH, Engeseth NJ 2002. Identification and quantification of antioxidant components of honeys from various floral sources. Journal of Agricultural and Food Chemistry, 50: 5870-5877. https://doi.org/10.1021/jf02561135. Habib HM, Al Meqbali FT, Kamal H, Souka UD, Ibrahim WH 2014. Physicochemical and biochemical properties of honeys from arid regions. Food Chemistry, 153: 35-43. https://doi.org/10.1016/j.foodchem.2013.12.048. Jawanmardi J, Khaligh A, Kash, A, Bais HP, Vivanco JM 2002. Chemical characterization of basil (Ocimum basillicum L.) found in local accessions and used in traditional medicines in Iran. Journal of Agricultural and Food Chemistry, 50(21): 5878–5883. https://doi.org/10.1021/jf020487q. Lee HS, Nagy S 1990. Relative reactivities of sugars in the formation of 5-hydroxymethyl furfural in sugar-catalyst model systems. Journal of Food Processing and Preservation, 14: 171–178. https://doi.org/10.1111/j.1745-4549.1990.tb00126.x. Mateo R, Bosch-Reig F 1997. Sugar profiles of spanish unifloral honeys. Food Chemistry, 60(1): 33–41. Ouchemoukh S, Louaileche H, Schweitzer P 2007. Physicochemical characteristics and pollen spectrum of some Algerian honeys. Food Control, 18: 52-58. https://doi.org/10.1016/j.foodcont.2005.08.007. Ozsahin AD, Yilmaz O 2010. Prunus armeniaca L. cv. hacihaliloglu fruits extracts prevent lipid peroxidation and protect the unsaturated fatty acids in the fenton reagent environment. Asian Journal of Chemistry, 22: 8022–8032. Schramm DD, Karim M, Schrader HR, Holt RR, Cardetti M, Keen CL 2003. Honey with high levels of antioxidants can provide protection to healthy human subjects. 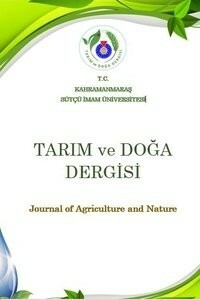 Journal of Agricultural and Food Chemistry, 51: 1732-1735. https://doi.org/10.1021/jf025928k. Subrahmanyam M, Sahapure AG, Nagane NS, Bhagwat VR, Ganu JV 2001. Effects of topicalapplication of honey on burn wound healing. Annals of Burns and Fire Disasters, 14: 143-145. Zappalà M, Fallico B, Arena E, Verzera A 2005. Methods of the determination of 5-hmf in honey: a comparison. Food Control 16: 273–277. https://doi.org/10.1016/j.foodcont.2004.03.006.